1. ​​Think about ​the "why"
If you aren’t confident about why you deserve a raise, it’s impossible to communicate that to your boss. Questions you should be asking yourself include: What have been my significant accomplishments? Have I taken on more responsibility at work? How does my salary compare to the average pay range for this position? Questions like these will help you prepare for a salary-related discussion and will assist you in negotiating a potential raise. Ensure that you have compiled all the appropriate facts so that you’re not simply basing your request on a similar colleague’s alleged compensation. Your boss will likely ask you why you think you deserve a bump in salary, and you need to be confident that you are truly deserving of an increase. Make sure you’re going back and evaluating your accomplishments, what you’ve brought to the company and the role, and that you have thoroughly researched an appropriate salary amount that’s in-line with your position in your industry. ​​Some employers have processes in place to consider salary changes on an annual basis. However, if that’s not the policy at your company, the time of your request can certainly impact the outcome. You also want to consider any formal reviews that you already have in place. If you attend regular quarterly/monthly/bi-weekly meetings with your manager, these can be great times to bring up the possibility of a raise since you likely discuss what you’ve accomplished and what your goals are for the future (both important components of successfully asking for a raise). You also want to keep any recent changes to your compensation in mind. For example, if you recently have received a bonus, or some additional benefits, you may want to wait a bit longer to ask for a salary increase. ​​​Hiding behind emails or text messages can be incredibly tempting if you’re nervous about asking for a raise, however it’s important to have an in-person conversation with your boss. Set up some time to chat and talk through your proposal. This will indicate that you are prepared, serious about your request, and it will provide your manager with the opportunity to ask you additional questions, flag any issues with your discussion points and to talk about potential options. A face-to-face meeting will also allow you to monitor your manager’s physical reaction to your request as you move forward in the discussion. Trying to hide in this scenario will not help you get that raise you’re after – no matter how appealing it may seem. It is unlikely that you will be entirely comfortable in a salary negotiation with your employer, however you will be able to build your confidence by reviewing your key points before the conversation. 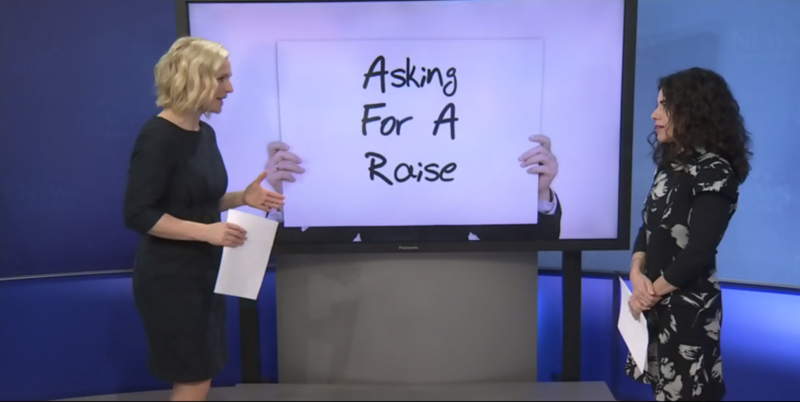 It’s helpful to jot down some notes with the reasons why you’re asking for an increase, why you believe you deserve the raise, and how to justify why you’re asking for that particular amount. You don’t want to present a long-winded monologue, so it is highly recommended that you practice your important points to efficiently and effectively communicate them to your boss. You can also practice by role-playing the scenario with a friend, or go through your main points in the mirror to become more comfortable answering questions about your proposed raise. Keeping calm, being clear and staying concise is the best way to get your point across to your boss. ​​​​Financial possibilities within a particular company may be tight, and out of your manager’s control, so keep an open mind about different compensation/benefit options that you may be offered. Perhaps you will be presented with additional health and wellness benefits, more days off, flexible work hours, professional development or a higher expense allowance. Or you may be offered a one-time bonus for a particular job well done. If you’re not ready to look for another job at a different company, keeping an open mind and being willing to discuss alternative options is important in helping to maintain a constructive relationship with your boss and a positive outlook on your future with the company.